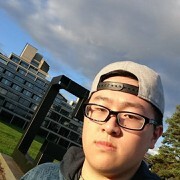 Hello, my name is Marcus Ng and I just finished my Second Year BSc Mathematics at the University of East Anglia in Norwich, I can teach students who are doing GCSE Mathematics.I can come to student's home to teach or teach at cafes. I used to teach my two cousins GCSE Mathematics and they both achieved A*. I am currently also helping a local Year 10 student with her GCSE Maths. My teaching style is to teach students the topics covered in the modules and then show them examples of questions and solutions. I think examples are the most important part when teaching because I find it easier to absorb. Students might think tutor will be forcing them to learn ,but when I teach, I approach in a relax style because I do not want to put any pressure on the student.